Ukraine, Russia's military action after judgment has been abuzz in commodity markets worldwide.On First day of the week commodity market started in the high note. Mcx precious metal showing high trend today a good rally seen in whole market. Mcx on Monday morning gold opened at 30192 and continue high with to hold its position and coming to near its intraday high of 30515 and a low of 30192. and mcx white metal gain from a good level on its open price, silver open at 46362 high +1.54% or 713 trading at 47075. Currently base metal in on volatile side at 3 pm, mcx crude oil and natural gas and nickel looking bearish in mcx base metal. On opening trend crude oil continue going in to high points high +1.33% or 85 points at 6456, In international market crude oil touch its 5 month high level. 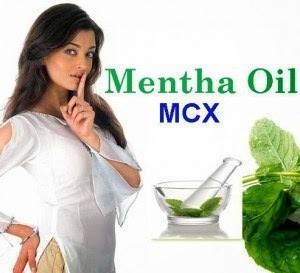 Mcx mentha oil trading positive since morning it is continue in positive Its cross the level of 800, traded at 813.70 or gain 1.67% or 13.40 points above.